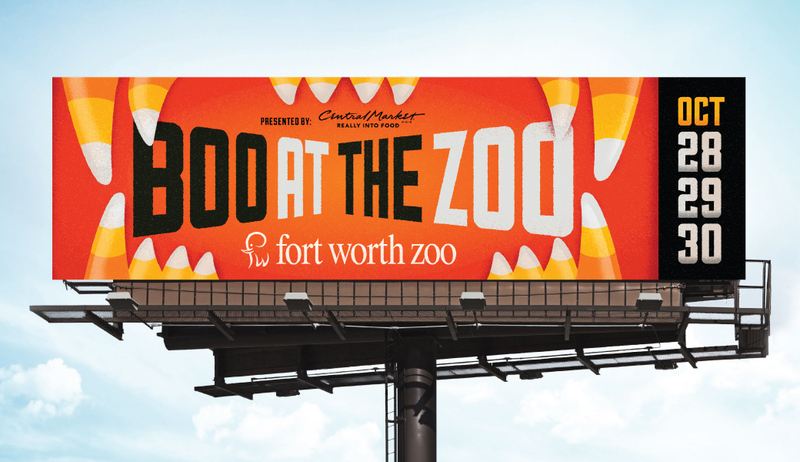 A Zoo with A Sweet Tooth - Schaefer Advertising Co.
Ghouls, Goblins… Gorillas? 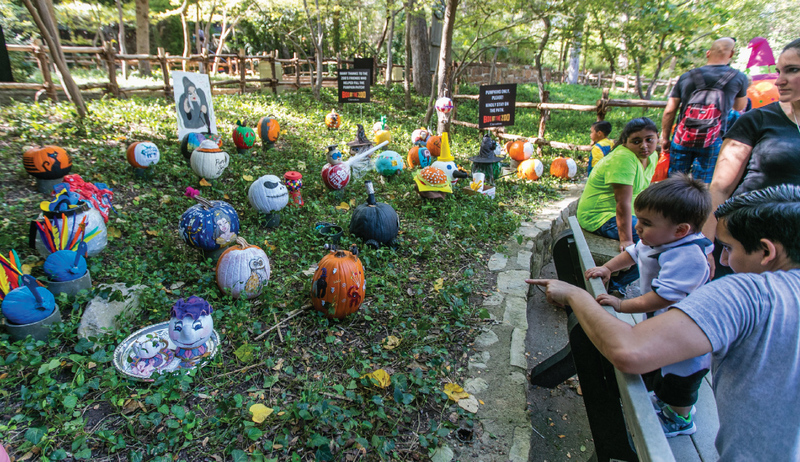 For many Halloween events, the goal is to frighten the audience enough to draw them to see the main course. 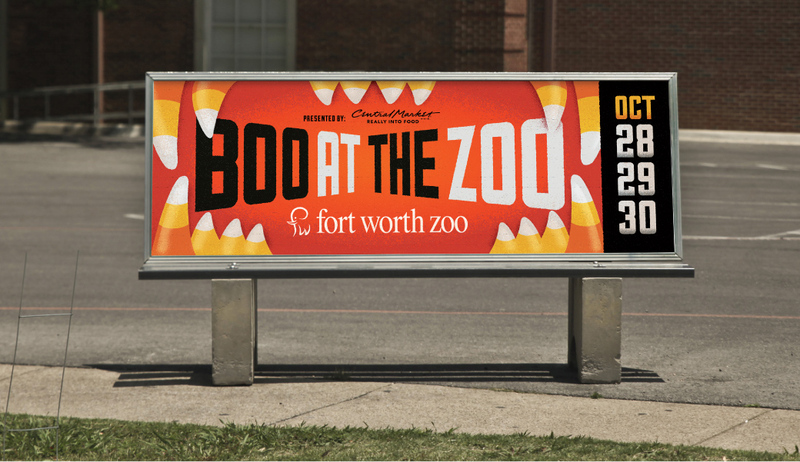 But the Fort Worth Zoo has a 20-year tradition of tickling the terror out of Halloween, with Boo at the Zoo. 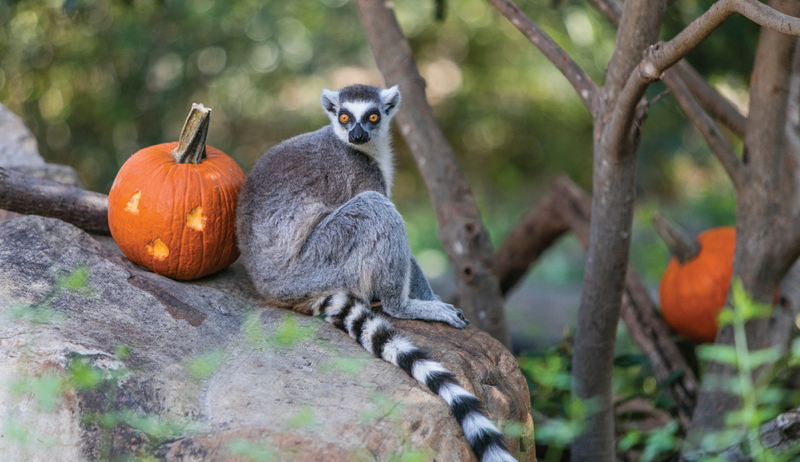 Boo at the Zoo is a kid-centric Halloween event where you can trick-or-treat for candy among animal friends. 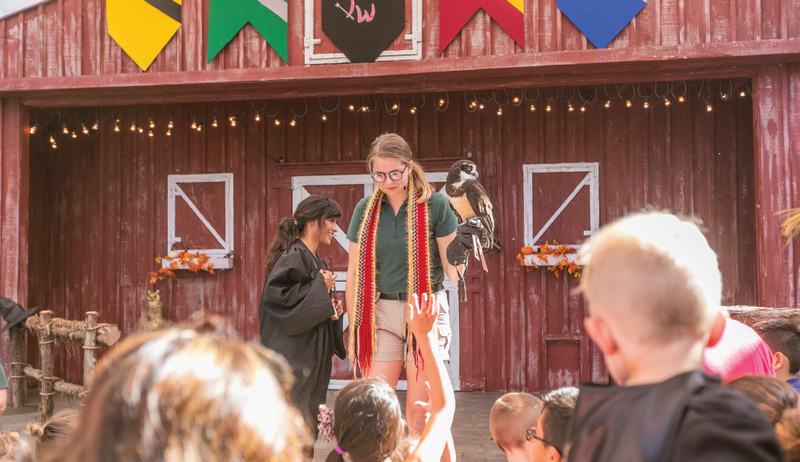 This year’s event had: carnival games, treat stations, stage shows, Wild Encounters (the zoo’s ongoing animal handlers with friendly critters) and a pumpkin patch . 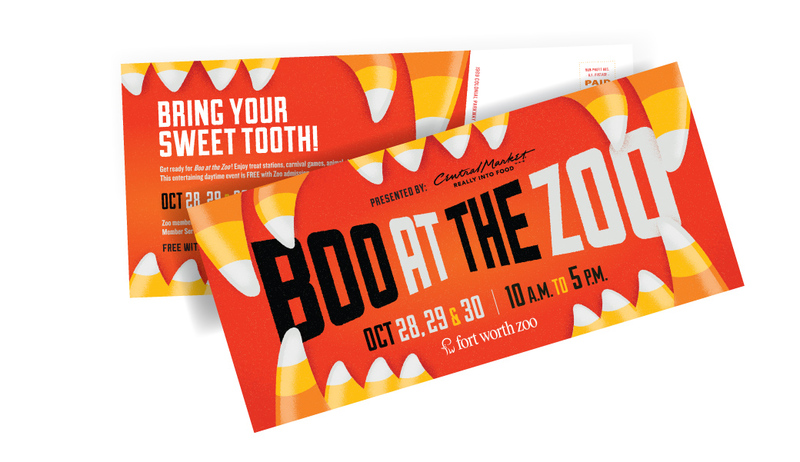 The campaign features a fun play on the classic Halloween candy. 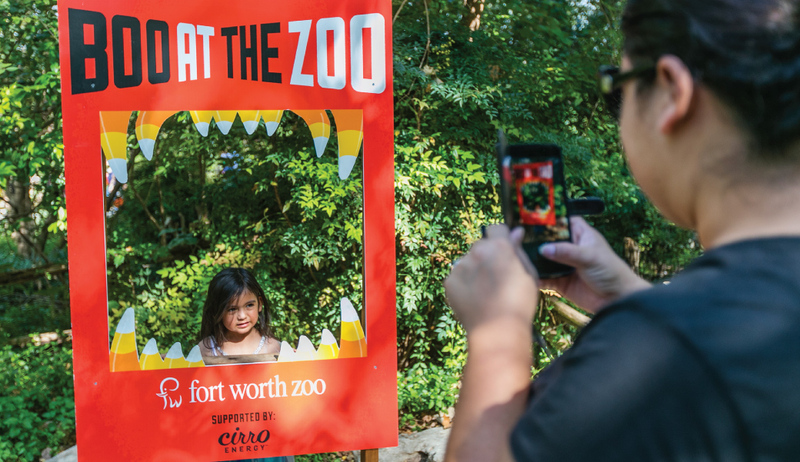 Its unique visual solution highlights the Zoo event that entertains sugar-crazed kids every year. 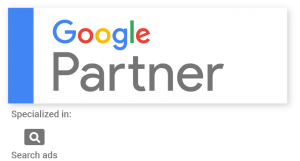 We created a direct mail, outdoor billboard, bus bench, email, print and radio ads, and display campaign.